Thaw veggies under cold water. Cut up chicken into small pieces and saute in a pan with mushrooms with desired seasoning. 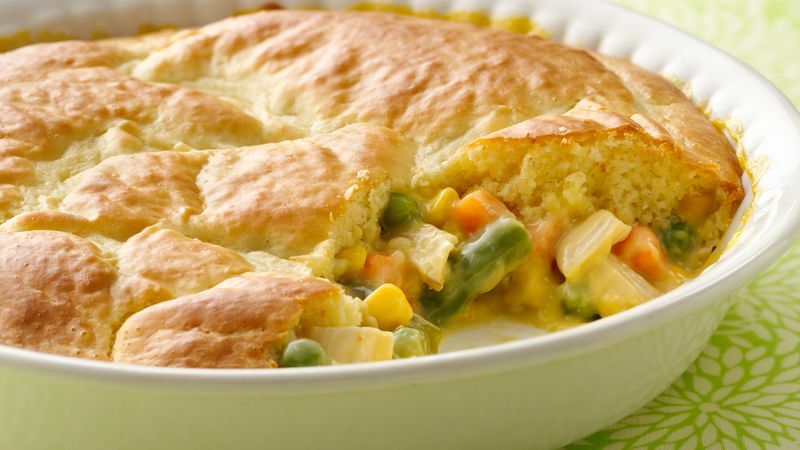 Mix vegetables, chicken and soup in ungreased glass pie plate or large baking dish. Stir together milk, eggs and bisquick until blended and add a few pinches of salt.